All places are subject to fulfilling the entry requirements as set out below and are subject to availability. We will let you know if we cannot offer you a place. Please see each course webpage for information on specific entry requirements. If your chosen course requires participants to have existing knowledge in the field, you can attach your University transcript or a screenshot of your university modules from your student portal with your online application. You can also email us to provide any additional evidence or information with your application. Our Summer School courses are taught in English so students must be able to demonstrate a good level of English language and comprehension. We assess students' English ability through their application and correspondence. Students must be 18 years or over at the time of the Summer School in order to participate. Students from abroad may require immigration permission to attend the Warwick Summer School. We will notify you by email if you will need a VISA. You should only start your visa applciation once you have made a tuition fee payment and recieved your hard copy visa invitation letter. Need information and guidance on which type of VISA will be required for the Summer School? Take a look at our VISA information. For overseas students the application deadline is the 31 May 2019 as you need at least 6-8 weeks to arrange your immigration permission. Some courses may reach their maximum capacity and close prior to this deadline. Home/EU students can apply after the 31st May as immigration permission is not needed, however all fees must be paid before the Summer School commences. What sort of people apply to the Summer School? 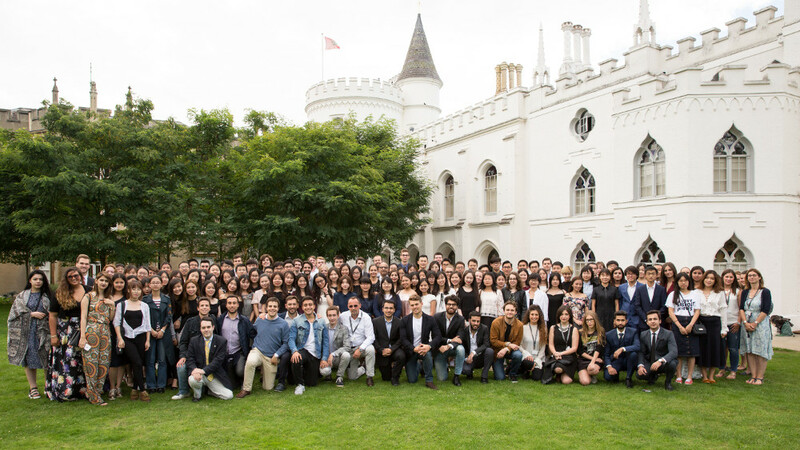 Our Summer School is a very diverse programme, attracting a range of people from over 40 different countries in 2018. The majority of participants are currently studying at undergraduate and postgraduate levels, alongside a number of professionals from a range of business sectors. Applicants are able to indicate the nature of their disability when completing the online application form, and our dedicated administrator can be contacted at any time to discuss any special arrangements. I am under 18 years of age. Can I still apply? Unfortunately our programme is only for students aged 18+. I’d like to apply, what are the entry requirements and what documents do I need to submit? Can I take more than one course per session? No, as courses are intensive and full-time it is only possible to attend one course per session. I do not meet the prerequisites for a course but I do have relevant professional experience. Can I apply? You must show a good level of understanding of the English language as all courses are taught in English. We assess your ability through your application form and correspondance. Applicants will need to submit evidence that they meet the course pre-requisites by providing their university transcript. If you do not have a transcript of results yet (i.e. 1st year students), you can attach a screenshot of your modules from your University portal with your name and ID number visible as evidence of your studies. I’ve submitted an application, what happens now? How long will it take until I know if I've been accepted? Applications that arrive complete and with the correct supporting evidence, will usually be processed within a few days. We aim to process your application and send you a decision as quickly as we can. We will notify you via email as soon as a decision has been reached. If you want to change your course before you arrive, this may be possible depending on availability. Please contact our Sumer School Administrator. Your application may need to be re-assessed to confirm that you meet the entry requirements for the new course. Our VISA information page will be able to answer your VISA queries. I’ve been accepted onto one of your courses, what shall I do now? Tuition fees should be paid once you have received an offer by email: only once tuition fees are paid (at least a 50% deposit) is your place on your chosen course guaranteed and secured. Yes, this is our recommended method of payment and it is quicker and more secure. Tuition fee payments are to be made online at our payment page which is sent to you once you have accepted your place on your chosen course. We recommend that students pay using a credit/ debit card, as this method is quicker and more secure. However, if you wish to pay via a bank transfer, you will need to contact our Summer School Administrator to ask for bank details. If you are unable to pay the full amount in one credit/debit card transaction, it is possible to pay a 50% deposit and then pay the remaining 50% before the 31st May 2019. This option is given to you at our payment pages. After I make payment, how long does it take for Warwick to receive it? If you are paying via our online payment pages, we should receive it within 1 hour and we will notify you by email. Bank transfers can take up to 3-5 days to be received. Does Warwick offer any financial aid for Summer School students? Unfortunately the University of Warwick is not able to offer any financial assistance to Summer School students. However - we do offer a variety of discounts for early bookings, groups, partners and alumni. See our Fees and Payment page for information. Do any scholarships exist for the Summer School? Unfortunately Warwick does not offer scholarships for the Summer School. Do I need immigration permission (visa) to study at the Summer School? To check whether or not you need a visa for Summer School study, please visit the UKBA website as visa regulations change frequently. Students are strongly advised to browse our visa help page for information and advice. If a student requires a visa then they should ensure that they apply to the Summer School early, as the visa process can often be lengthy. Will you provide me with a Summer School visa letter? We will provide students with a Summer School visa invitation letter that can be used for their visa application. This will be sent to you by email as well as in the post once you have paid at least a 50% deposit payment. How do I apply for a Summer School visa letter? If you are arranging your own accommodation we will state this on the letter and will not confirm any accommodation details. A Summer School visa letter will not be produced until the above are completed. How long will it take for my Summer School visa letter to arrive? We send out visa letters by DHL (post) and email. Your letter can take up to 2 weeks to arrive, depending on where you live. It is advisable to make your tuition fee payment as early as possible not only to secure your place, but also to ensure that you can apply for and receive your visa in time for the start of the programme. Please see our Terms and Conditions. If you receive visa refusal you may wish to contact Warwick’s Immigration Service who can give you advice on how to proceed. Questions relating to the refund of Summer School tuition fees should be directed to the Summer School Administrator. Can I get a refund for my accommodation fees? The accommodation fees are paid to St Mary's Univerity and unfortunately refunds are not available, which is why we strongly advise you arrange your visa prior to paying for your accommodation in case you recieve visa refusal. I want to stay for a few extra days. Is this possible? Yes, there is an option at the accommodation booking website to book any extra nights, before or after the programme, that you may need. If you have already paid for your accommodation but would like to add any extra days, just let the accommodation team know which extra days you would like and this can be arranged. How do I get to St Mary's from the airport? How do I get to Warwick from the airport? See details getting to St Mary's University. We do not provide an airport transfer service, however if there is a significant group booking we are happy to arrange this. What sort of things are there to do outside of studying? St Mary’s University offers lots of facilities for students to use. Typically you will have 4 hours of study each day. Your teaching day will start at 10am, and finish at 3pm but there are additional activities such as guest lectures to factor in. Timetables are only established shortly before the beginning of the course and are therefore not available in advance. You will be given your timetable on the first day of the programme. A detailed timetable is not usually available prior to the start of the Summer School, but once you have paid for your tuition fees you will be sent our online handbook which includes the master timetable. In previous years, our Summer School course enrolment ranged from 10 - 30 students per course. It depends on which course you plan to attend as some are more popular than others. Am I able to contact academic staff before the start of the course? You may contact academic staff before the start of your course, but it is advisable to do so only through the Summer School Administrator. Email enquiries should be sent to wss@warwick.ac.uk and where a question cannot be answered by the administrator it will be forwarded to the relevant academic. It may not be necessary to undertake a large amount of pre-course reading. Lectures will be the main focus of teaching. However, it may be to your advantage to read the recommended textbooks on your course webpage. Should I purchase any textbooks? Will I receive course materials in advance? Generally, course materials are distributed at each lecture. If you have any questions please direct these to the Summer School Administrator. Should i bring a laptop for my classes? We advise all summer school students to bring a laptop with them so they can download lecture notes for classes. All Warwick Summer School participants are encouraged to make full use of St Mary's campus facilities. All Summer School students will be given an ID card once they register - this will give you access to the library and its photocopying and computing facilities. Are there any eating and drinking facilities on campus? St Mary's offers a fantastic choice of food and drink at its restaurant, cafe and bar, and provides a great place to socialise with friends and colleagues whatever the taste or budget. More details on this can be found in the online handbook. Most of our courses have an optional assessment. Please see your course webpage for information on how you will be assessed. The assessment is usually an examination, coursework or presentation. Examinations take place on the final Friday of the Summer School and participants cannot expect to be finished in time to meet flights on that day. If you need to leave before the exam, but wish to sit the exam – please get in touch with our administrator. Do I have to take the optional assessment? Will I still get a certificate if I don't? No, the assessments are not compulsory. All students will receive a certificate of attendance, however you must note that an attendance certificate is not the same as the pass/fail graded transcript and is unlikely to be able to be used for credit transfer. What is the difference between the attendance certificate and the transcript? How much credit will I receive for a Summer School course? What documentation will I receive upon successful completion of a Summer School course? Summer School students will receive a certificate of attendance and also a transcript of results if you choose to sit the optional assessment. How will I receive my certificate of attendance? Certificates of attendance will be given to students on the final Friday during the Celebration and Farewell Evening. If you are unable to make the final dinner, we can post your documents to you. Transcripts will be made available electronically and also sent in the post, after the end of the programme, usually in September. Will I be able to access my online course materials after I have left? We strongly advise that all students download and save, or print any materials during the programme that they would like to keep. Access to course materials after the Summer School is not always possible.